Take the stress out of planning and pre-book your transportation from Miami to Orlando on this one-way shared transfer. With different departures to choose from, you'll be able to schedule based on your schedule. Travel with ease from Miami to Orlando on this convenient transfer service. Various convenient departure locations to choose from. Please make sure you select your location and time correctly. Services are offered in motor coaches or vans, Includes wifi and movies on-board (subject to availability). 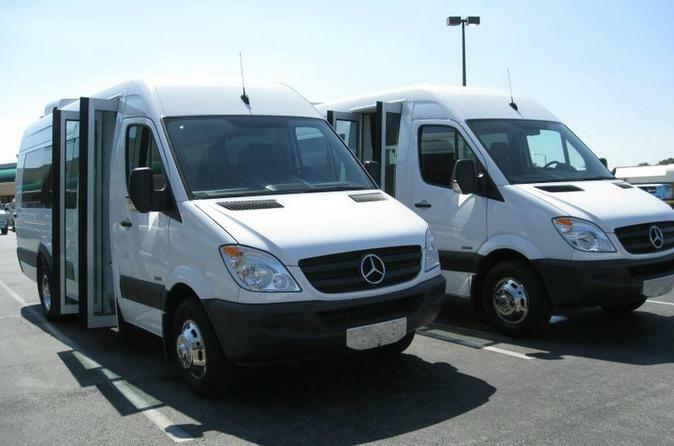 We provide daily shuttle services to and from Miami International Airport, Downtown Miami and Miami Beach to Orlando. Passengers must be at the departure location selected waiting for the vehicle 15 minutes prior to departure time. Passengers must be waiting outside Hotel Lobby. Please note that there is a limit of two (2) pieces of baggage allowed per passenger.